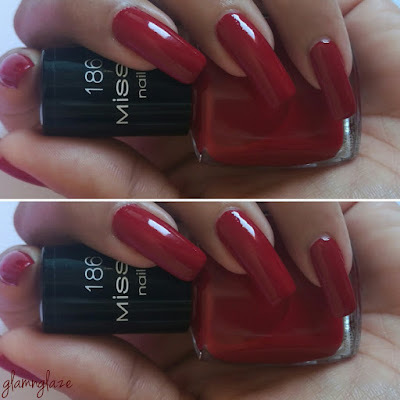 Today,I am going to share with you my Misslyn Cosmetics mini haul and review. So,recently I had ordered these products from Lifestyle Gulf's online portal.They have awesome brands available online and their customer service is really very nice. 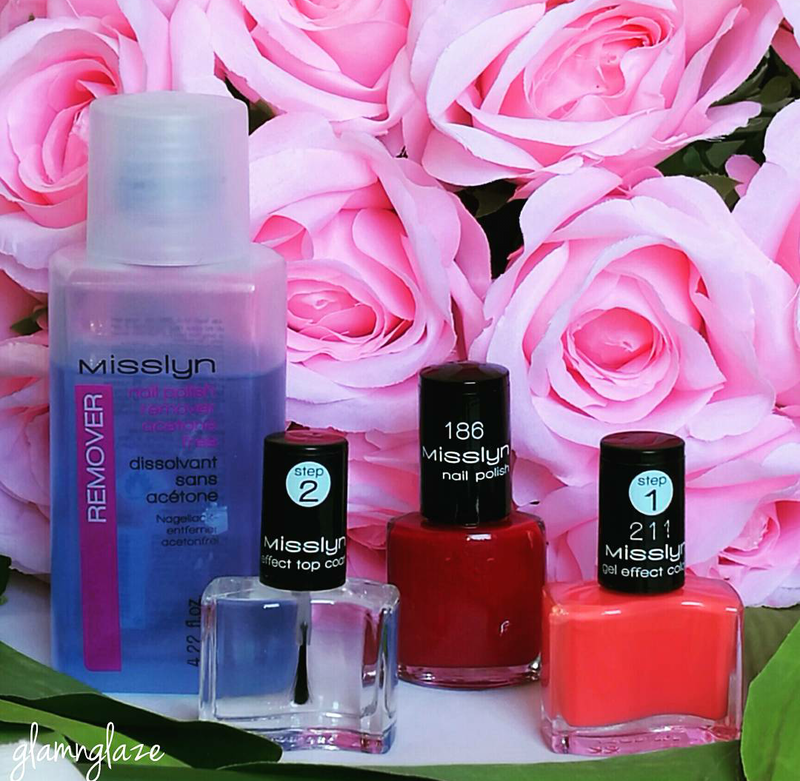 I had ordered Misslyn's nail-polishes and nail-polish remover. It's a German Cosmetics brand. "OUR SUCCESS STORY BEGAN MORE THAN 30 YEARS AGO AS ONE OF THE LEADING COMPANIES FOR NAIL AND LASH PRODUCTS. BUILDING ON THESE CORE COMPETENCIES THE BRAND HAS BEEN PROVIDING, SINCE IT’S RELAUNCH IN SPRING 2011, A COMPLETE MAKE-UP RANGE AND HAS BEEN OFFERING HIGH-QUALITY PRODUCTS AND EXCELLENT VALUE FOR MONEY. 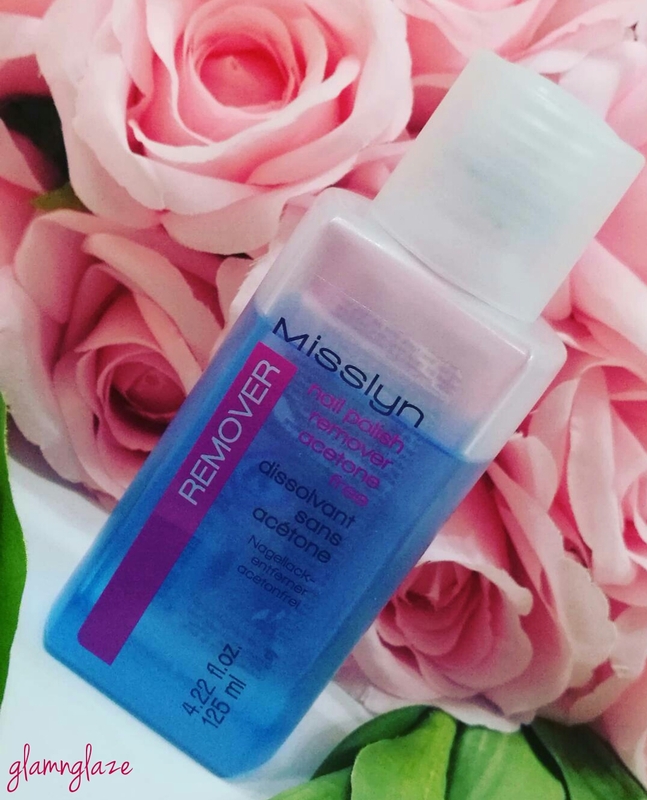 First product is a nail-polish remover by Misslyn Cosmetics.This nail polish remover is acetone free...it's so cool.The nail-polish remover works well and removes the nail-paint easily from the nails without harming the nails and cuticles.It's good. "This gentle acetone-free nail polish remover is perfect to remove all traces of nail polish. The aloe vera helps to nourish and revitalise your nails and prevent them from drying out." Second product is a nail-polish in the shade 186,Oriental Carpet.It's a deep-blood red nail-polish.It is very pigmented and the brush spreads the product evenly onto the nails.The consistency of the product it not very runny or thick and is very easy to work with.Applied two-coats and it covered the nails perfectly. 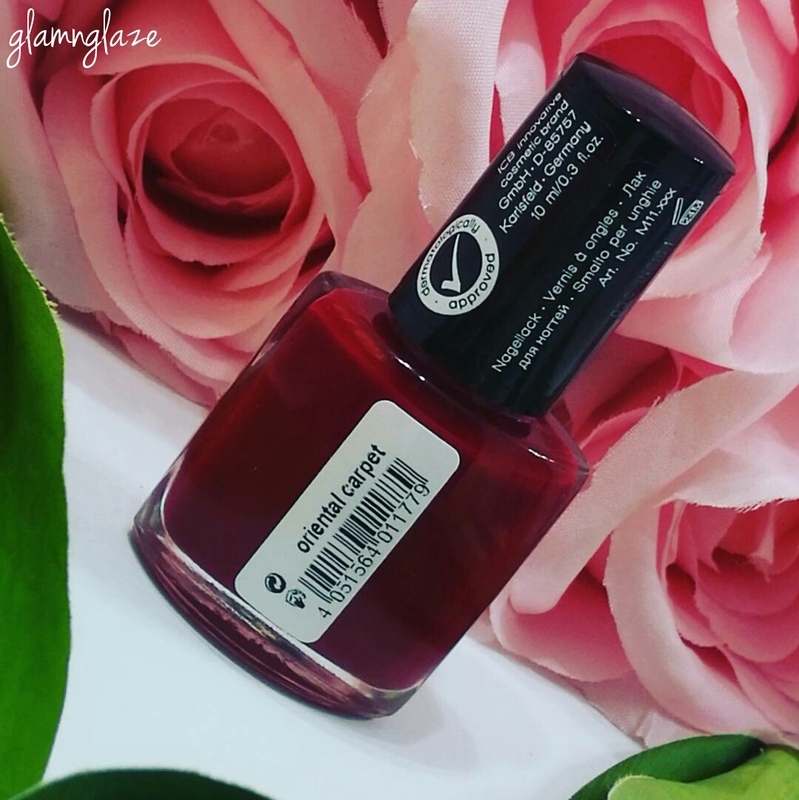 This nail-polish stayed on the nails for five days without chipping.It started wearing-off from the tip of the nails after that.But,on the whole the product is of really a good quality and I am totally loving the deep red shade.It's lovely! Also,I would like to mention that all the details like shade number,name,quantity and shelf-life re mentioned on the transparent-glass-packaging which is really nice. 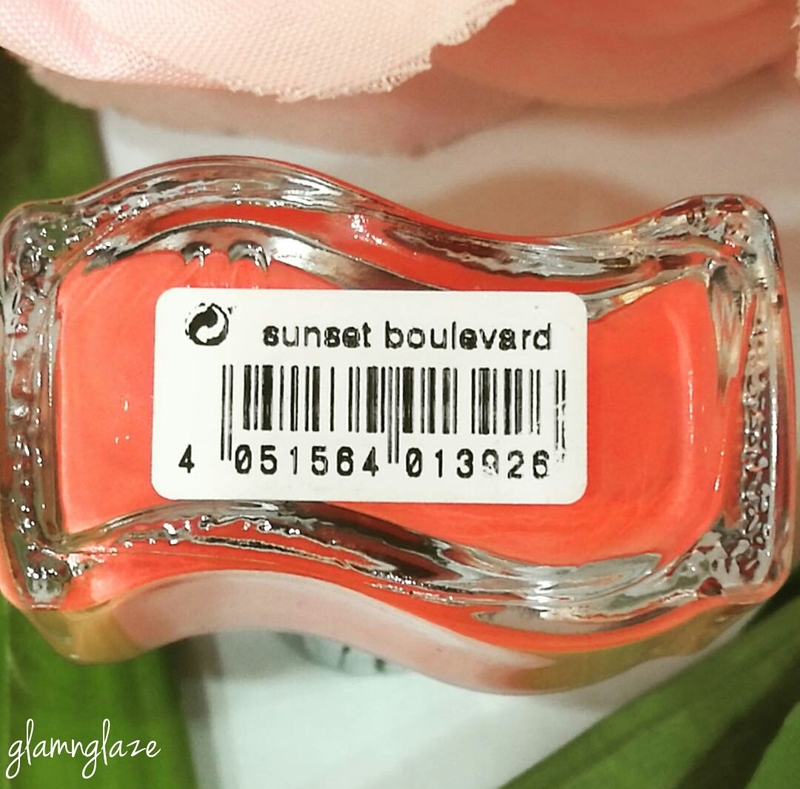 Elevate your fashion quotient with this nail polish. It offers a compact design that prevents the application process from getting messy. With high pigmentation, it does not chip or crack and lends a long-lasting effect. Third product is again a nail polish.But,this is from the gel effect duo range by Misslyn Cosmetics.It's in the shade 211,Sunset Boulevard.Perfect orange-coral shade for the summer-season. 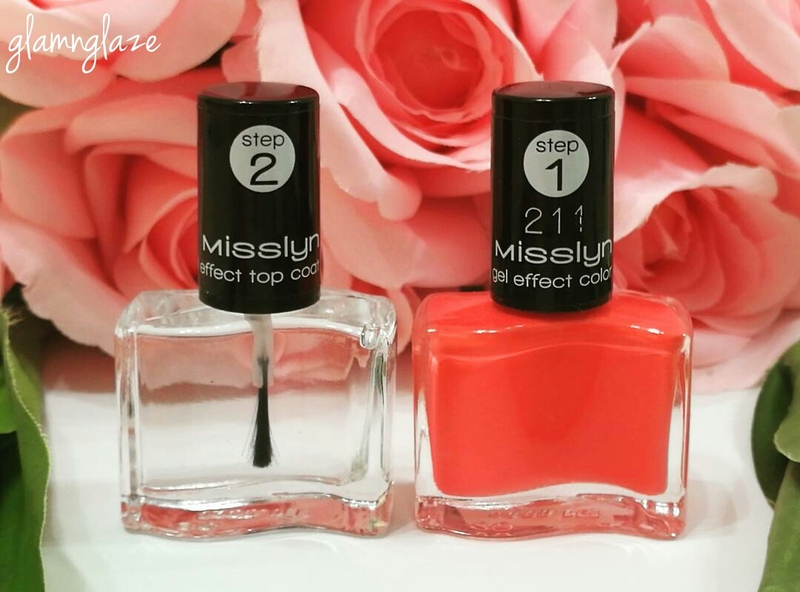 There are two steps : Step 1 is to apply the actual shade and step 2 is to apply the clear-top coat. The packaging is very different from the normal Misslyn Nail Polish-collection.The product(actual-shade) comes in a transparent-glass with a black coloured lid.The top coat also comes in a see-through glass-packaging with a black-coloured lid. All the details like shade number,name,quantity etc are mentioned on the packaging. The consistency of the product is gel like and very pigmented. Two-three strokes and we are good to go.It spreads on the nails very well.The nail-polish actually gives a gel-finish-look to the nails once topped up with the top coat. I applied two-coats of the nail-polish and then topped it up with the clear-top-coat.Both applied very smoothly.The actual gel effect colour and the top coat dried down pretty fast. 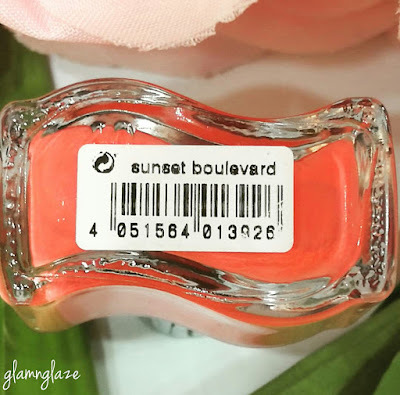 I love the shade sunset boulevard and it's glossy-gel-finish.The actual shade and the to coat are of amazing quality and actually lasted for six days on my nails.Formaldehyde-free nail-polishes are always good for the skin as they don't put us to a risk of skin-reactions,irritation etc.Also,these nail-polishes are dermatologically approved and suitable for sensitive skin. P.S. 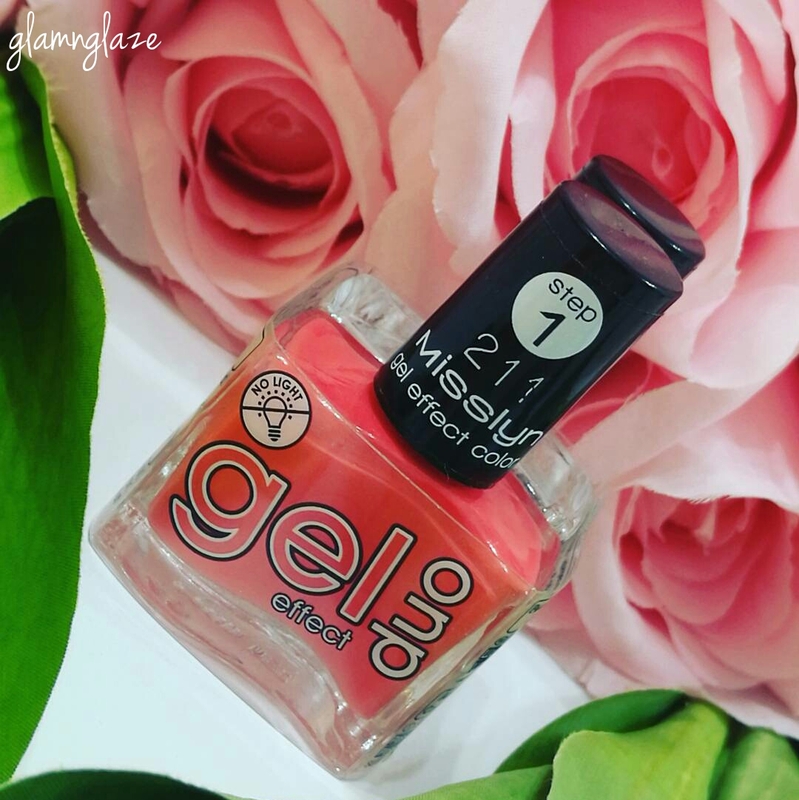 : There are thirteen shades available(according to the official website) in the gel effect duo collection. 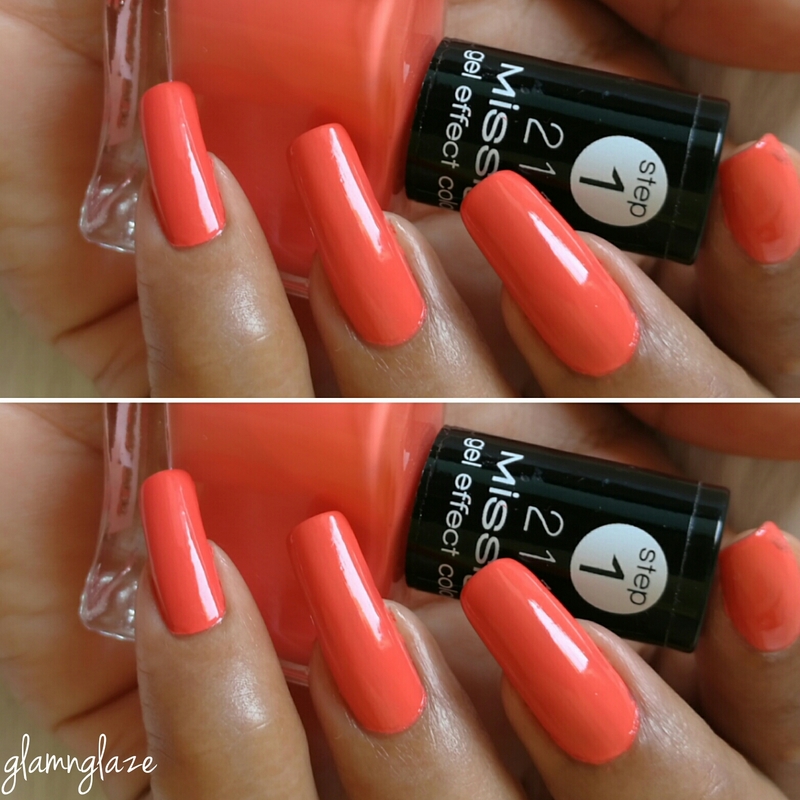 Overall I really am loving the nail-polishes and the remover by Misslyn Cosmetics.I recommend checking out their nail-polishes.They have awesome nail-polish collections .If you are looking for formaldehyde-free nail-polishes and acetone-free removers,I suggest trying out from Misslyn Cosmetics. Definitely.Also,I would be checking out other shades from Misslyn's nail-polish collection. 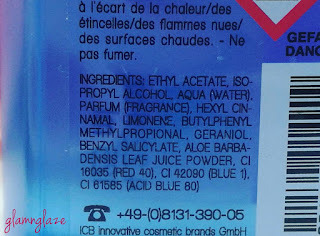 What cosmetics contain formaldehyde? 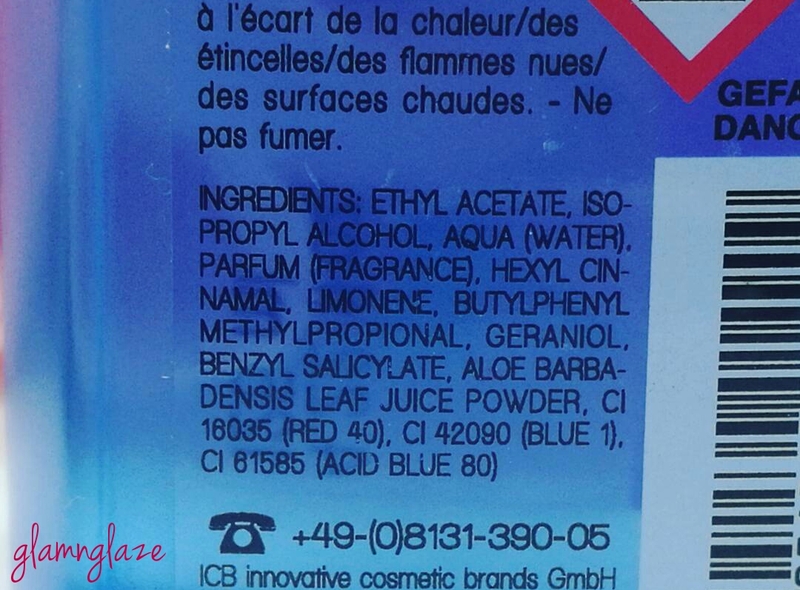 Formaldehyde can be found in nail polishes, nail hardeners, eyelash glues, hair gels, soaps, makeup, shampoos, lotions, and deodorants, among other products. Formaldehyde might cause skin irritation,cancer etc. Have you tried Misslyn products?What's your favorite nail-polish brand?